Home page- Al-Beau.com. Own Racing History! Own your own piece of Thoroughbred History! Al-Beau Corporation is now accepting investors for the historical matching of two of horse racing's finest pedigrees: Albert The Great's siring of Beauette's foal. One day I read that Albert The Great was to be retired after the Breeders Cup in 2001. 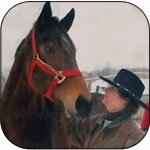 He was to stand at Three Chimneys Farm in Midway, Kentucky, and they would be selecting just a very few mares to breed to him. At the time Beauett was at my small farm in Dracut. She was resting up from a small injury that she received in a $16,000 claiming race. She ran third that day; even with the injury; her heart was moving her forward. 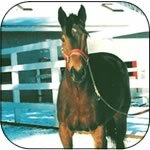 After I read the article on Alberts retirement, I took a good look at Beauetts pedigree, ran a few numbers matching her with Albert and was amazed at the outcome. That same day I e-mailed the Three Chimneys expert on pedigree, Ed Anthony, and asked him if they would consider Beauett, for Alberts first breeding season. The very next day I received a positive response. She is now back at my small farm in Dracut carrying one of Albert The Greats first foals. Provided there are no complications, she will have the foal in early 2003."